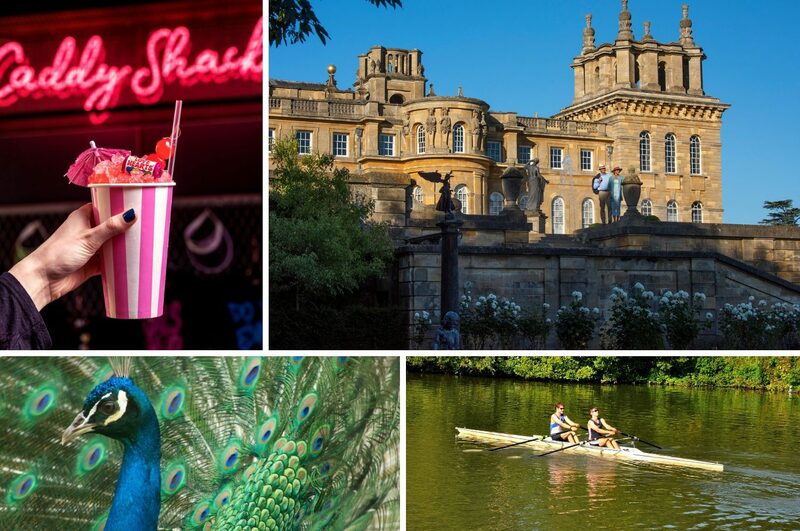 With Valentine’s Day and half-term around the corner, Oxfordshire is ready to welcome you with some great activities and offers for everyone to enjoy. Enjoy a romantic Valentine’s event, or share quality time with your family with some fun spring activities. For an evening of fun with a mate or a date, we have the top Valentine’s picks in Oxfordshire for you. 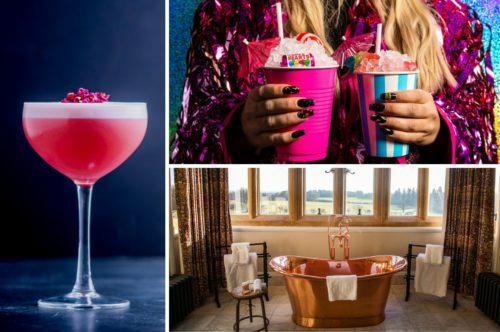 Golf for charity at Junkyard Golf Club on Valentine’s Day, try something different with Oxford Castle & Prison‘s Anti-Valentine’s event, try a cocktail masterclass at Dirty Bones, or treat yourself to a romantic and luxurious stay at Eynsham Hall. Check out our full list of top picks here. Treat the family to a day out this February with discounted tickets to Blenheim Palace. 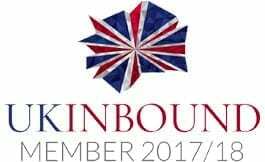 You can order online here, or pop into the Visitor Information Centre on Broad Street, Oxford, to purchase. Marvel at the opulence and splendour of the Palace, before taking a relaxed afternoon walk in the stunning parkland and landscaped gardens. Brighten a chilly February evening with an Oxford Official Walking Tours Pub Tour! A great way to spend an evening, the new Pub Tour offers you the chance to sample whatever tipple takes your fancy in the company of an expert Blue/Green badge Guide, who can tell you the secrets of some of the oldest pubs in Oxford. Do you have a train enthusiast in your family? Be sure to pencil in Didcot Railway Centre‘s half-term open days: 16, 17, 20, 23 and 24 February. Kids eat for FREE when booking directly to stay at Eynsham Hall this February half term. Are you planning a half term break with the kids? Book direct with Eynsham Hall and take advantage of their special family accommodation rates. Children eat for FREE during your stay with them. Offer available from Sunday 17th February – Sunday 24th February 2019. Subject to availability. Get your pen and calendar ready! Here’s our list of some of the best events in Oxfordshire this February. For more, see our Whats On pages. Join awesome comic artist Neill Cameron in the Comic Club Plus monthly workshop at The Story Museum. You can share your ideas with fellow enthusiasts, and develop your comic-making skills, with Neill on hand to offer helpful advice and tips. 1pm-2:30pm, tickets £7, ages 12-16. Oxford’s Ashmolean Museum will open a new exhibition of Jeff Koons‘ work on 7 February. Prepare to be intrigued and excited by Koons’ famously contemporary and controversial works of art! PLUS, from Monday 4 February, the Ashmolean will be open on Mondays. Koons tickets from £6, exhibition runs until 9 June. Soak up some culture at the annual Turl Street Arts Festival, where the creative talents of staff and students of the three Turl Street Oxford University colleges – Exeter, Lincoln and Jesus – are showcased. ‘Ambitions in Architecture and the Art of Perspective‘ will present some of Turner’s first commissions and celebrated works, with pieces on loan from the Ashmolean, Tate, and other private collections, brought together in the stunning surroundings of Blenheim Palace. Runs from 16 February to 22 April, free with annual pass. With a shoe factory’s future hanging in the balance, help arrives in the unlikely but spectacular form of Lola – a fabulous performer in need of some sturdy new stilettos. With songs by pop icon Cyndi Lauper, feel the glamour of this spectacular show at New Theatre Oxford. Runs from 18 – 23 February, tickets from £13. The purrfect treat for the family, watch The Cat in the Hat performed live at Oxford Playhouse. The classic Dr. Suess story will be a spectacular circus to behold, meaning fun for children and grown-ups alike. Runs from 19 – 23 February, tickets from £10. Get outdoors in a beautiful woodland setting at Harcourt Arboretum. Search for signs of spring and enjoy seasonal craft activities, with the perfect excuse for a long walk. 1pm – 3pm, suitable for all ages, £2 donation per child. Head to the Old Fire Station for an evening of raucous satire, banging tunes and one truly awful wig! Kick-start your weekend with a riotous comedy production on a Friday night. You can guess what it’s about… 5:30pm and 7:30pm, tickets from £10, ages 14+. Wrap up and cheer on the Oxford University colleges as they compete in the annual Torpids rowing competition along the Isis. Don’t forget to watch the bumping from 27 February; a savage race, with the goal to bump into the boat in front. 22 February – 4 March, free to watch. The Winter Exhibition at Turrill Sculpture Garden ends on 23 February, so this will be your last day to see sparkling glass hangings, big ceramic pots, cheeky stone sculptures, and a lot of butterflies! Open Summertown Library hours. Their acclaimed performances of Japanese Taiko drumming and music have captivated audiences across the globe and now The Yamato Drummers are back! Visit the New Theatre and be exhilarated by this visually spectacular, high-energy and explosive event. 7:30pm, tickets from £13.